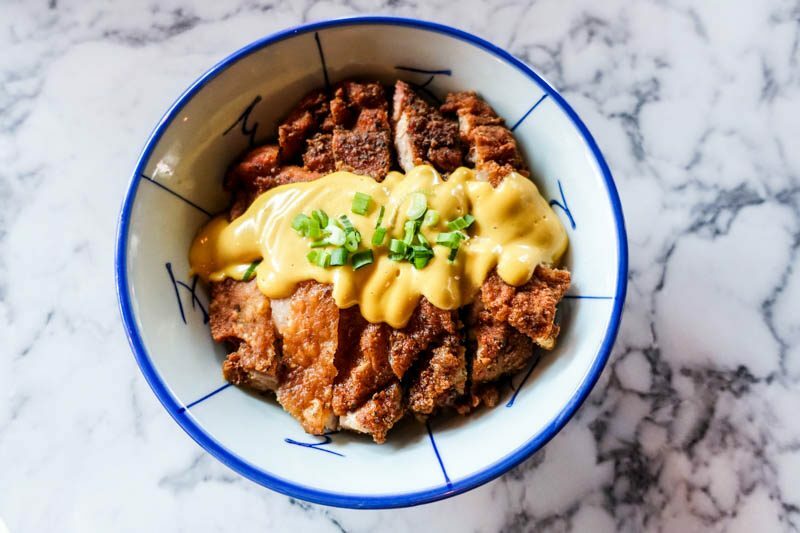 It’s not often that you’d think of dining at a bar; beer bites and fried food take centre-stage, while proper mains typically take a backseat to the happy hour deals that draw the after-office crowd. 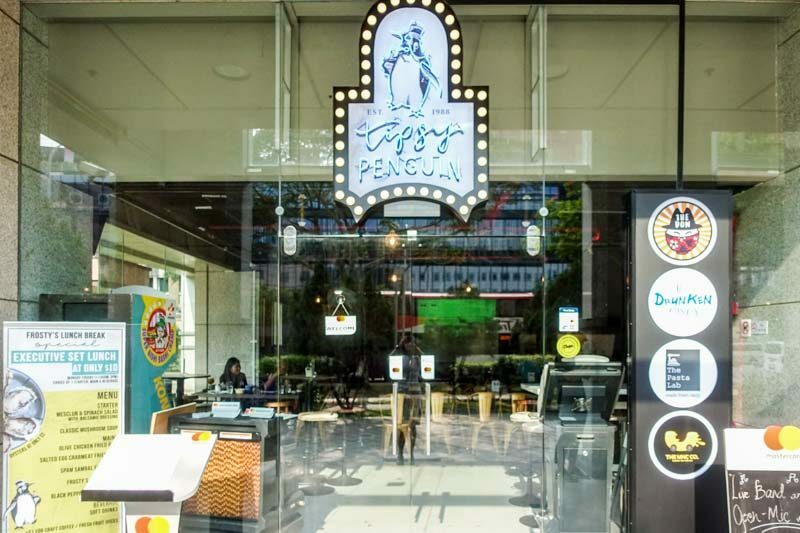 Tipsy Penguin changes all that, despite its unassuming exterior. 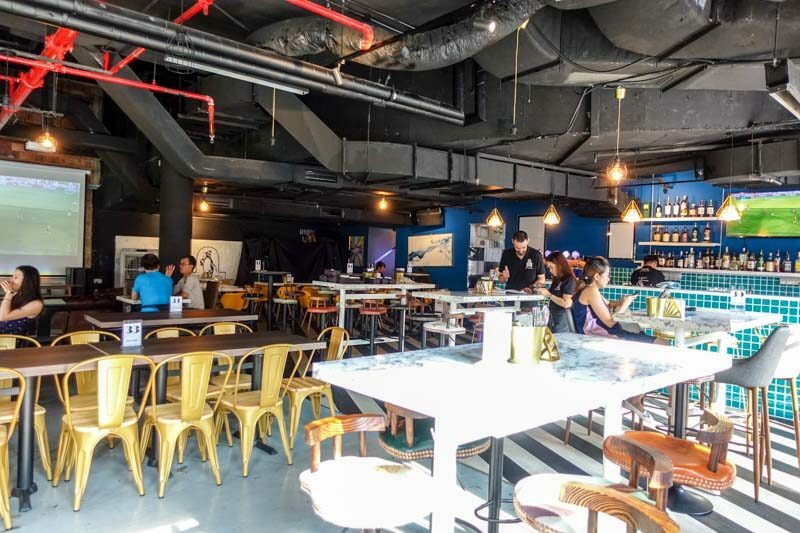 Tampines residents now have a place where they can enjoy seasonal matches, great drink deals and even better food, as this sports bar serves us surprisingly decadent and extremely satisfying recipes — all thanks to its introduction as Singapore’s first co-op restaurant. What is a co-op restaurant? This means its menu is created by various chefs who take ownership in specific cuisines and techniques to come together and create a medley of dishes. It also means anyone who wishes to contribute their most treasured recipes are free to do so, and if it receives the crew’s seal of approval, you’ll get to teach the team how to prepare it and have your dish featured on the menu (in fact, the dessert section features priceless recipes from the bar’s own marketing manager, Candice)! 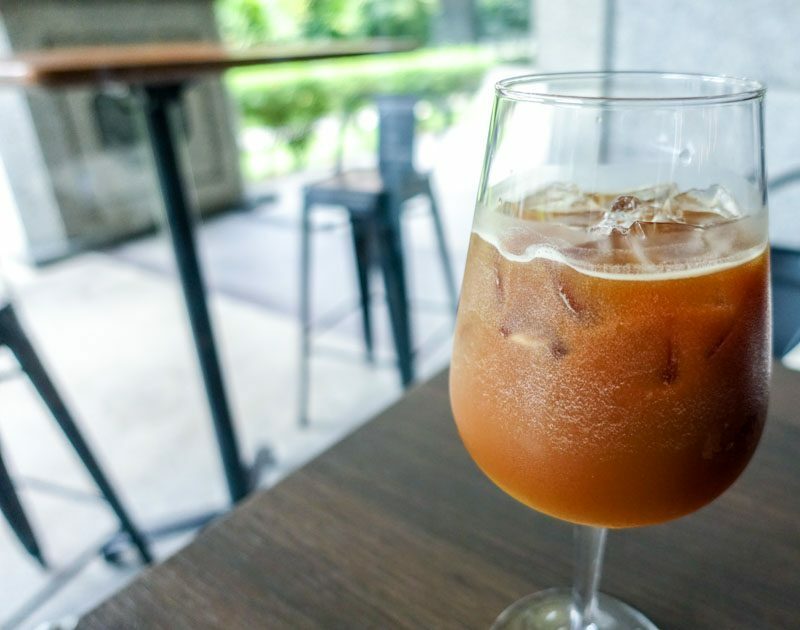 Seeing as how it was a sweltering day, we went for one of the more adventurous drinks on the list, an Old Fashioned Citrus Americano (S$9). Under other circumstances, I wouldn’t have chosen to have coffee with something citrusy, but I needed something to jolt my senses. True enough, the clash of acidity caught me off-guard. I scrunched my face in distaste, limiting my intake to only a sip. On that note, it may very well not be for everyone, but if you enjoy roasted notes with a citric punch, then this would be right up your alley. Which place isn’t riding on the mala bandwagon right now? 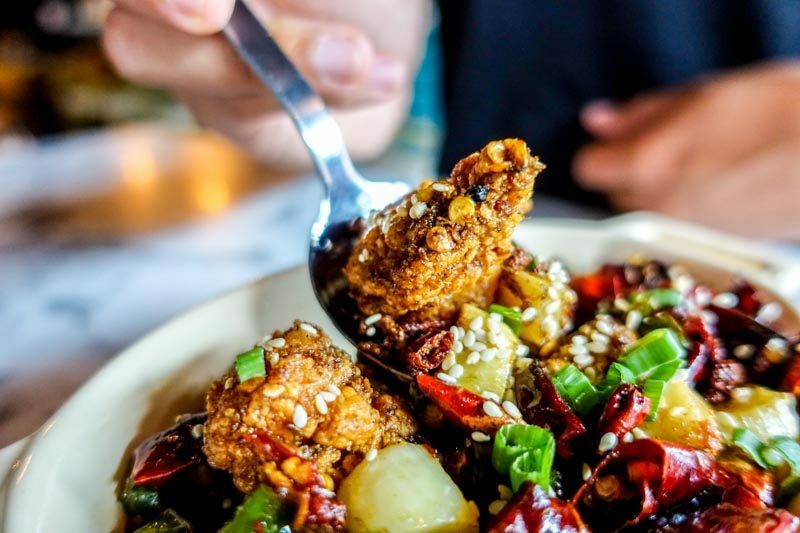 Here, Tipsy Penguin’s take with the Szechuan Mala Karaage (S$10) is a fiery tapas that has fried popcorn chicken tossed in their homemade mala blend. The crunch was undeniable; I absolutely loved how the chicken packed heat and crispiness from the dried chillies, Szechuan peppercorns and curry leaves it was peppered with. 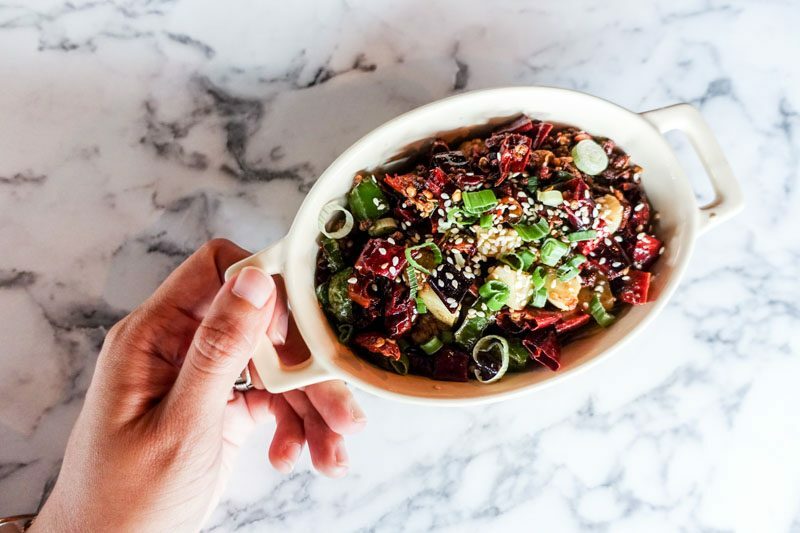 Chilli lovers will find this hard to keep away from. 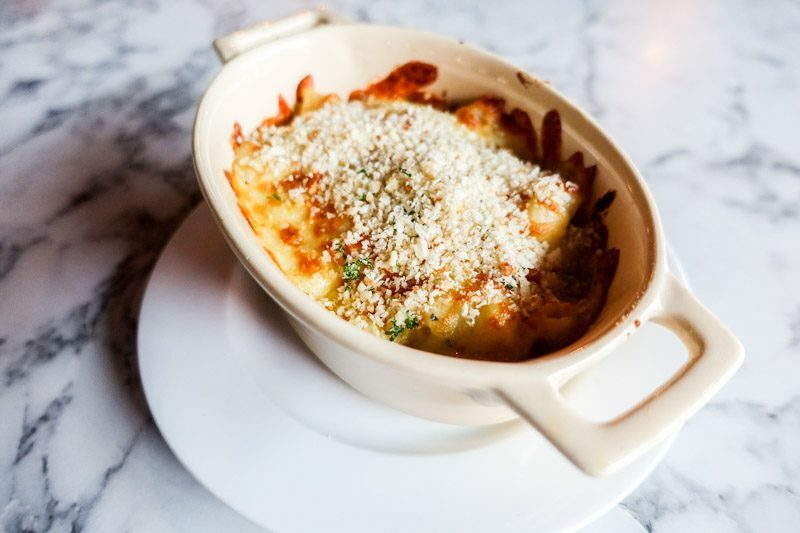 Their Mac & Cheese (S$10) is unlike any other. It wasn’t sickeningly rich, given the multitude of cheeses it uses. Tipsy Penguin added in kikorangi (a type of blue cheese), black pepper cheddar, and mozzarella, finished with a drizzle of truffle oil. 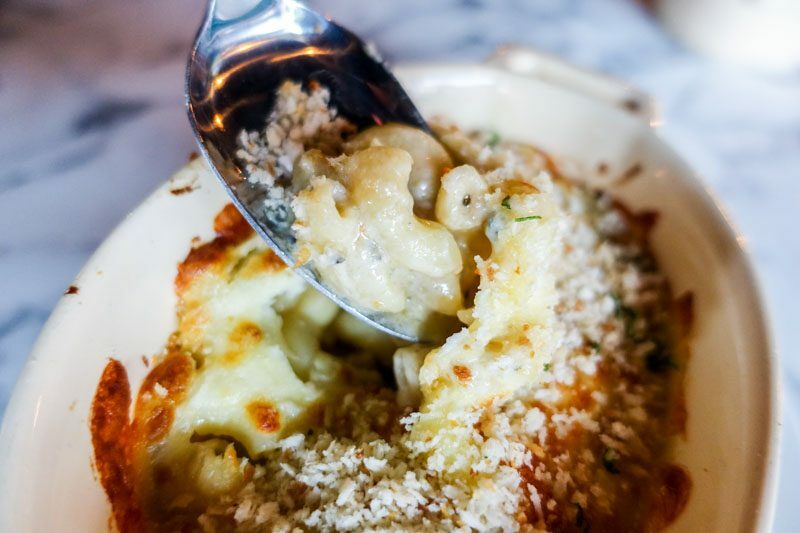 You’d think the blue cheese would dominate your senses, but in reality, it really was just a nuance — a persistent waft, if you will. The union between the crusty edge and the fudge-like centre really drew me in, and I insisted that I scrape off the sides completely before allowing the dish to be removed. 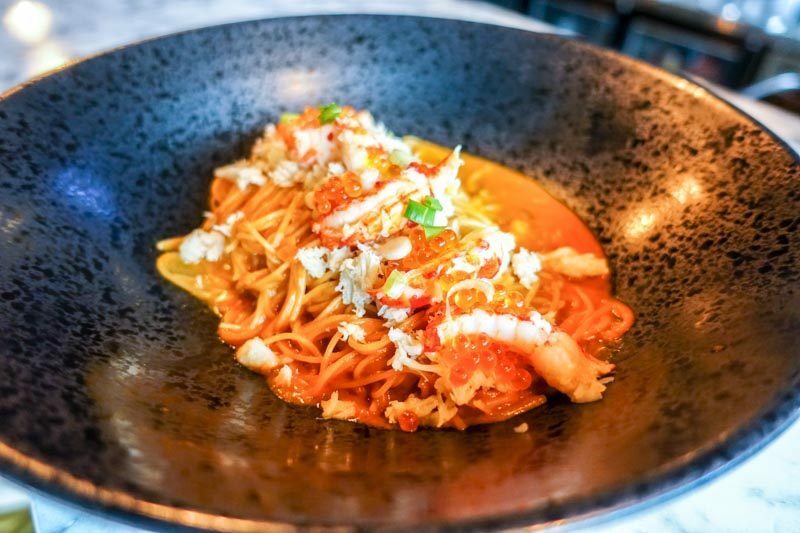 You won’t see any processed meat in this Crabmeat Capellini (S$16). 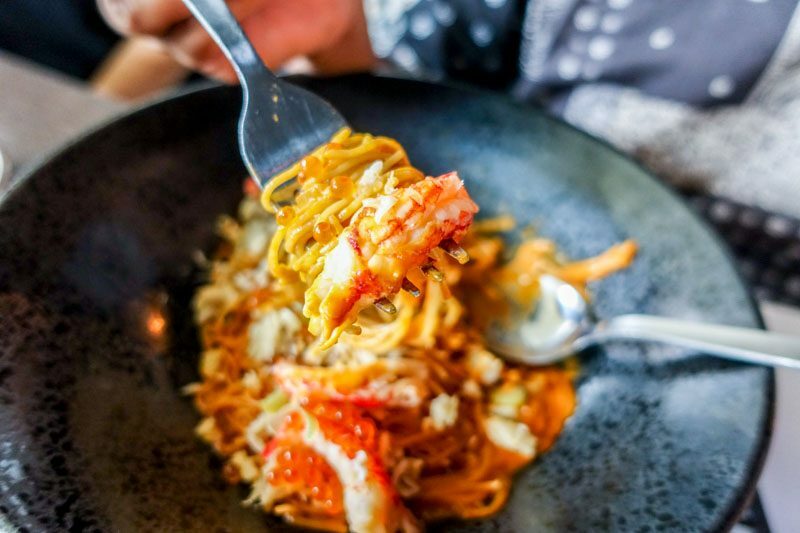 The pasta was spun around generous chunks of crab meat and ikura, swimming in a bath of lobster bisque. 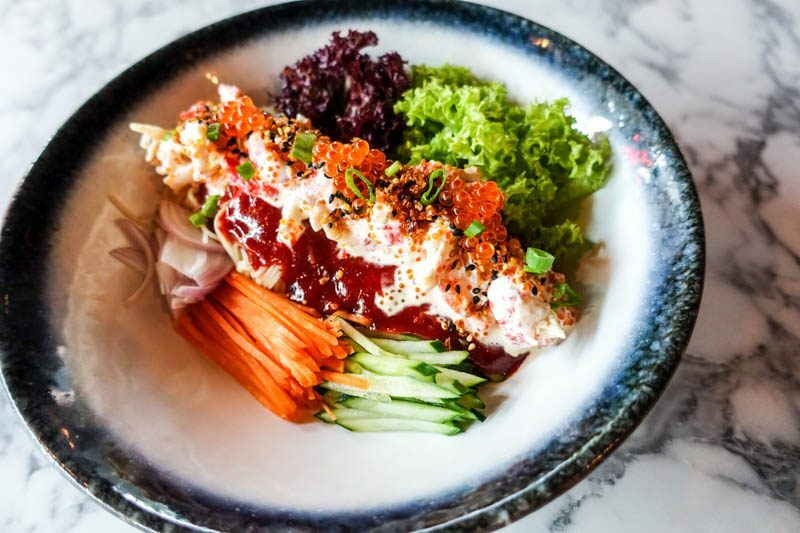 Due to the charitable portion of ikura used and its potent saltiness, it actually made the natural sweetness of the lobster bisque a lot more prominent. 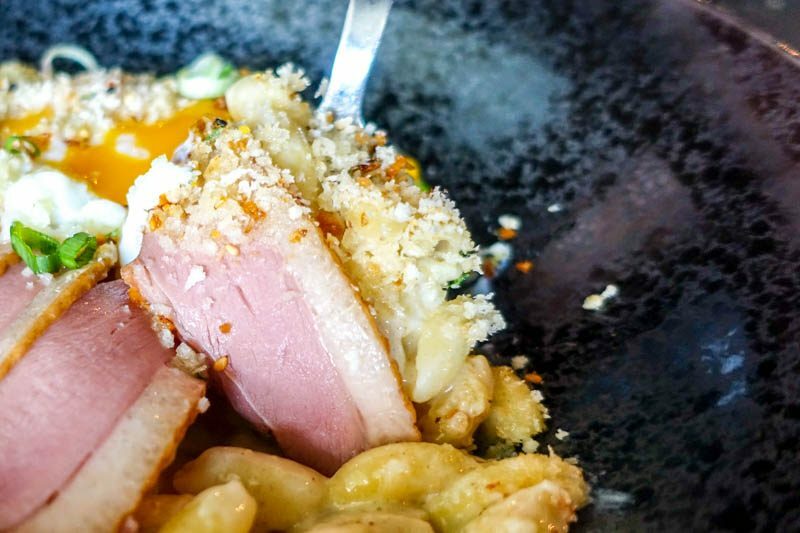 The bisque was silky, which made this dish pretty memorable. 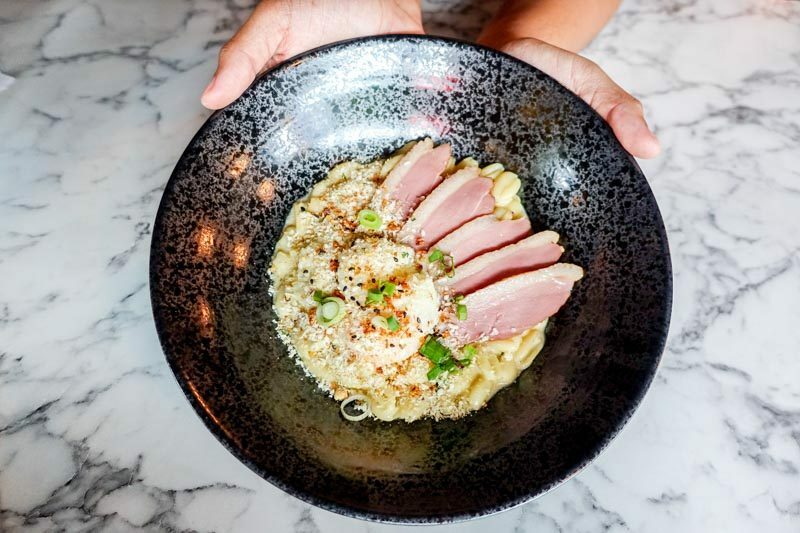 Carbonara is typically made with bacon, but that doesn’t mean that their Smoked Duck Carbonara (S$13) was any less tantalising. It surprisingly wasn’t overwhelmingly creamy, even with the addition of an onsen egg. I suppose the use of truffle cream helped lighten the dish’s heaviness. Duck is a protein that some may find gamey, but here, there was hardly any trace of it. Only sheer joy and satisfaction met my taste buds, so if you’re keen to try a different twist on a classic, this won’t disappoint! I know, I know. There are just way too many places serving one-bowl dishes, but the Singapore Bowl (S$14) is actually something I would recommend. 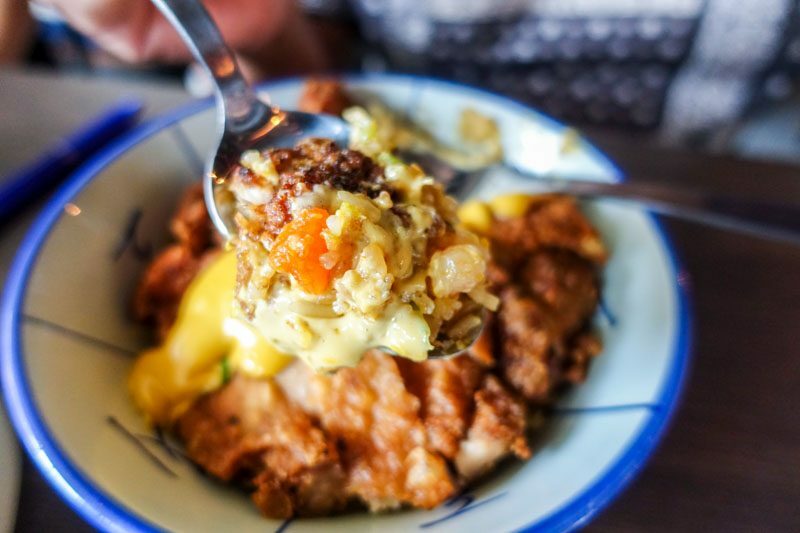 Beneath a substantial portion of Hainanese chicken chop slathered in homemade salted egg sauce is fragrant shrimp fried rice. The fried rice had an aromatic char to it, which meant that it’s cooked traditionally, wok hei-style! The chicken was well-seasoned on its own, and moist on the inside while remaining crunchy on the exterior. Should you enjoy cold noodles, the Crayfish Bibim Naengmyon (S$18) should more than satisfy. 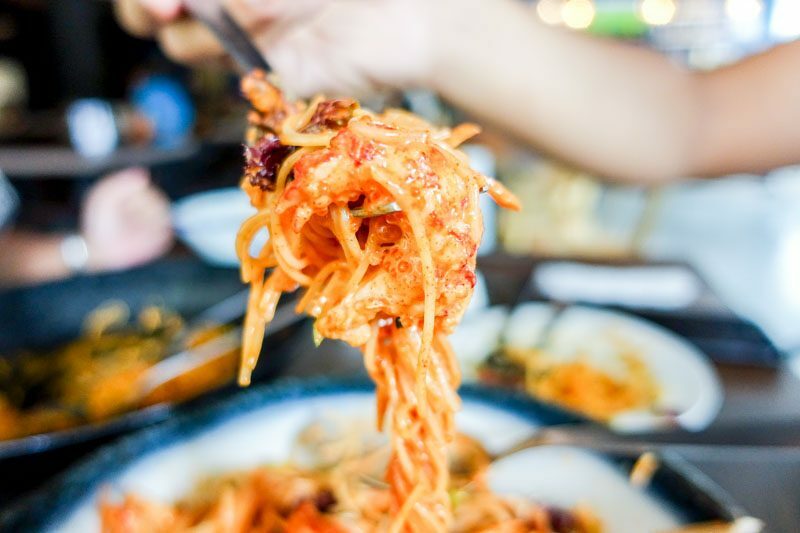 The bowl was filled with chilled angel hair pasta, finely julienned carrots and cucumber and a bounty of crayfish and ikura mixed in with homemade gochujang. For someone who loves her pasta hot, this took awhile for me to process. I particularly liked the subtle tartness of the gochujang, and how the ikura provided a nice touch of saltiness to the entire dish. It also made the dish that much more refreshing, and an ideal option for warmer days. Moving on, The Accidental Cheesecake (S$9) arrived. It was the result of a baker who got lost in internet land while Netflix-ing and stumbled across (possibly) the best cheesecake recipe out there. 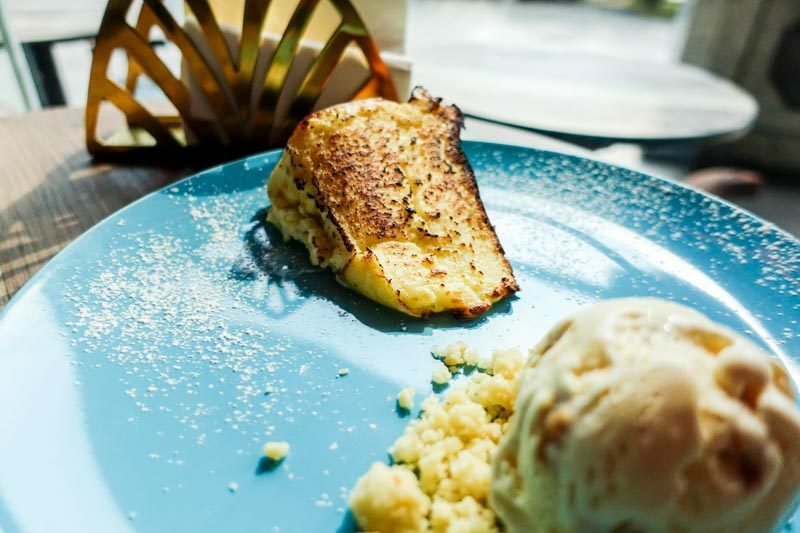 The burnt cheesecake is jiggly and burnt round the edges, served with honeycomb ice cream. I don’t know how else to describe it other than absolutely luscious. There’s only a hint of crust to finely complement the soft, airy cheesecake. The taste itself is light, which fits the honeycomb ice cream’s dense and sticky sweetness perfectly. 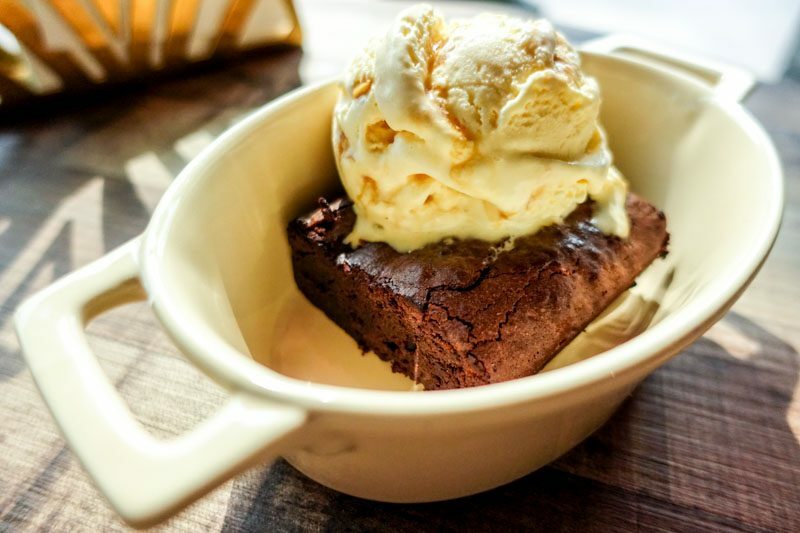 Very close to my idea of the perfect brownie, the Rye-Salted Brownie (S$8) was especially fudgy and decadent. Be prepared to not want to share this, as the specks of Maldon-flaked sea salt seasons this epicurean delight to bring harmony back to this condensed cocoa treat. I had little expectations solely from the pre-judgement of this place being a sports bar. But after having a go at some of their best dishes, I’m sitting here having strong urges to return. If there’s one place that truly deserves the saying, “Don’t judge a book by its cover”, it’s Tipsy Penguin. Because unlike most bars where you’d stay for the drinks, here, you’ll definitely stay because of the impeccable food.